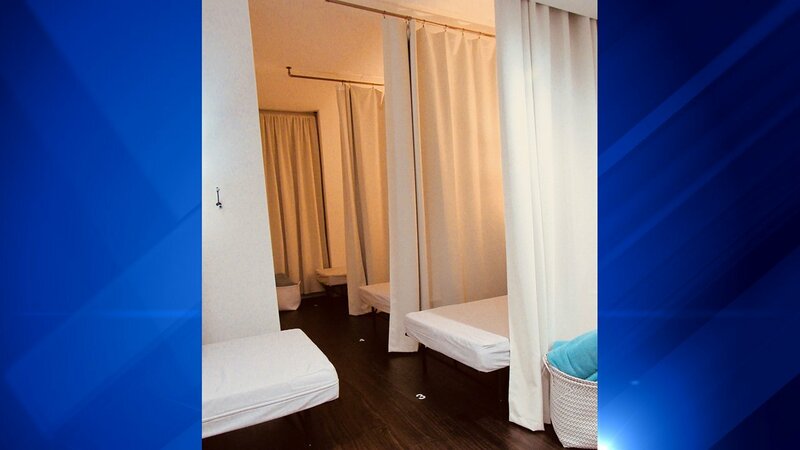 CHICAGO (WLS) -- Chicago's first-ever "nap studio" is now open for the city's sleepy. For $20, the weary can get a 30-minute restorative midday power nap at Peace Power Napping, located at 30 N. Michigan Ave., across from Millennium Park in the city's Loop neighborhood. Five beds are available and "on-demand napping" can be booked with a mobile app. Peace Power Napping offers free earplugs, as well as two different eye masks, blankets, coat hook, according to its website. Wake-up calls are also available. One third of adults do not get enough sleep, according to a 2016 study by the Centers for Disease Control and Prevention (CDC). "Sleep isn't a luxury, it's the foundation on which every aspect of our being rests upon. Our physical, mental, emotional, and spiritual wellness, our ability to be actively engaged in our work and our relationships, and our likelihood to fulfill our life's true potential is all contingent upon how rested we are. Simply put, we can only get out as much as we put in," said founder Jennifer Thomas. The studio is now offering a holiday deal. To book a free 30-minute power nap on Black Friday or Cyber Monday, visit www.peacepowernapping.com and download mobile app. Book nap session and use promo code: celebratepeace at checkout.